You might remember this review from last year. Xalien, our playful alien friend is now back for another adventure in Xalien Goes To School. I leapt at the chance to review this one because it felt especially fitting with Caterpillar starting school in only a few weeks time. Once again Xalien, our adorable purple extraterrestrial, arrives at the house of Jessica and her family. 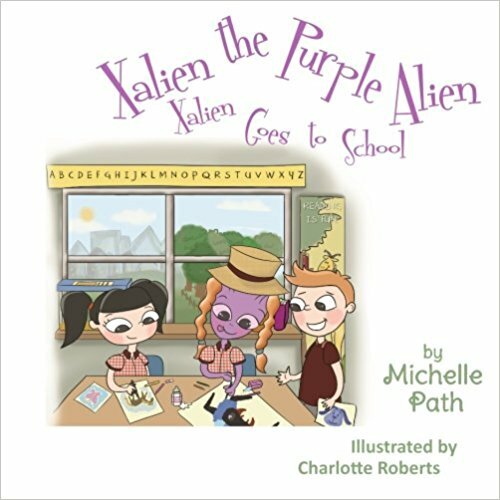 This time the story centers around Xalien’s trip to school with the children where she delights the children with her amusing misunderstandings of every day human tasks. 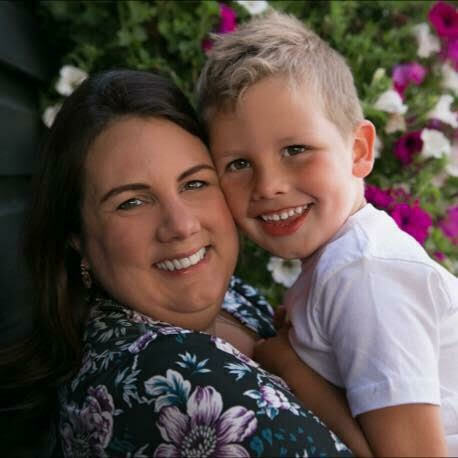 She uses an apple to play catch and sticks crayons up her nose – essentially all the silly things that children wish they were allowed to do! Caterpillar thought this was hilarious. I think the concept of explaining every day things to an outsider is quite educational for young children, and a good lesson in patience and tolerance of other children who might be different from them in real life. I always like to find an adult message in children’s books too where I can and Xalien looking at life differently from the children made me think of how our children often make us look at things with fresh eyes too, which is one of my favourite things about my own child. The bold, cartoony illustrations really highlight the comedic element and I love how cute Xalien is, more human-like that most picture-book aliens and monsters. We had to stop to count the legs of the spider Xalien drew and the most amusing moment for him was when Xalien decided to turn her pancake into a mask. Want to get your hands on your own copy of Xalien Goes To School? Click here. Or find the author, Michelle Path, on Twitter. Disclosure: We received this book in exchange for an honest review, words & opinions are all my own.